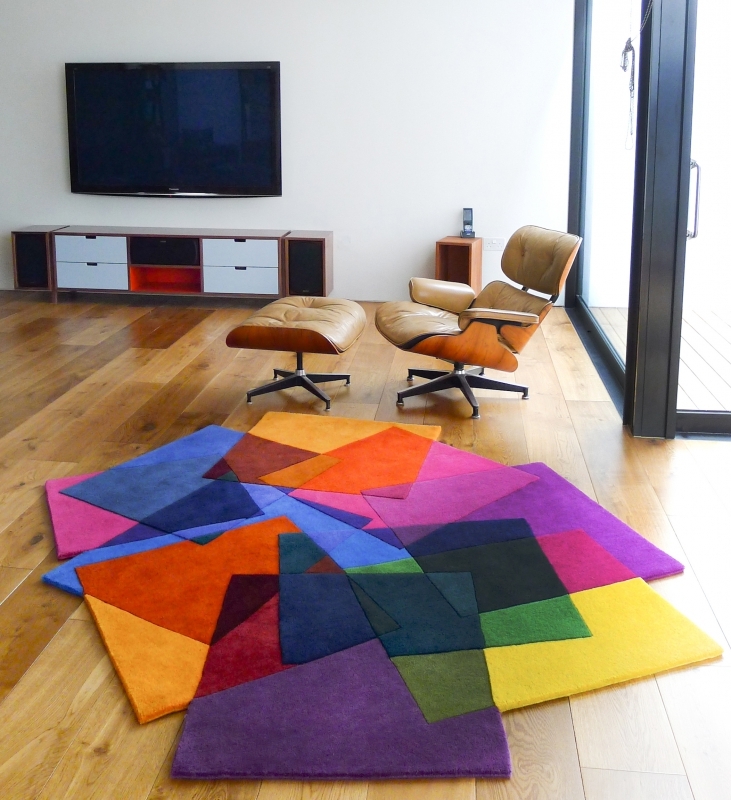 Sonya Winner creates exceptional rugs that are graphic, vibrant, highly original and of stunning quality. Sonya’s most ambitious colour mix experiments to date. A natural development of the popular After Matisse rug – Sonya has moved from rectangular forms to sensual curves to create a wonderfully shaped foundation to develop her colour mixing passion. 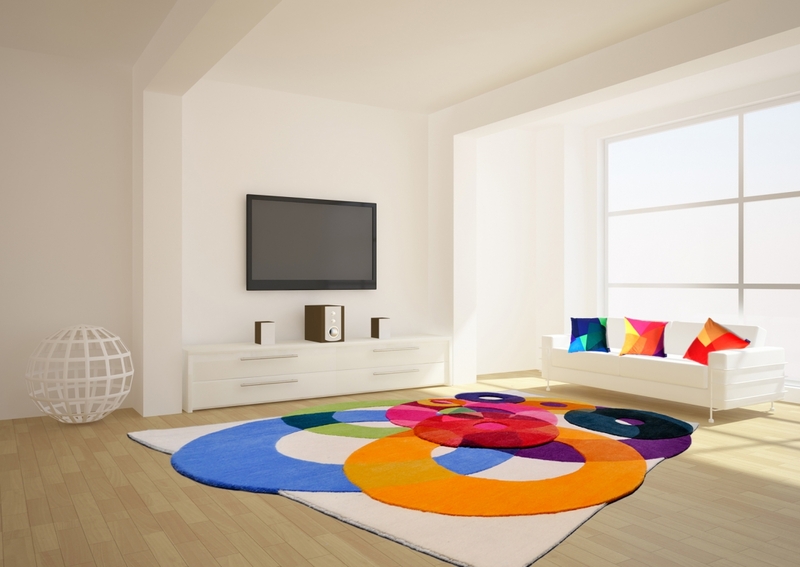 A complex combination of hues represent colours mixing and variating pile height (or can be knotted in a single pile height) make this piece a spectacular floor statement to any space. Inspired by Matisse’s works made of paper cutouts. 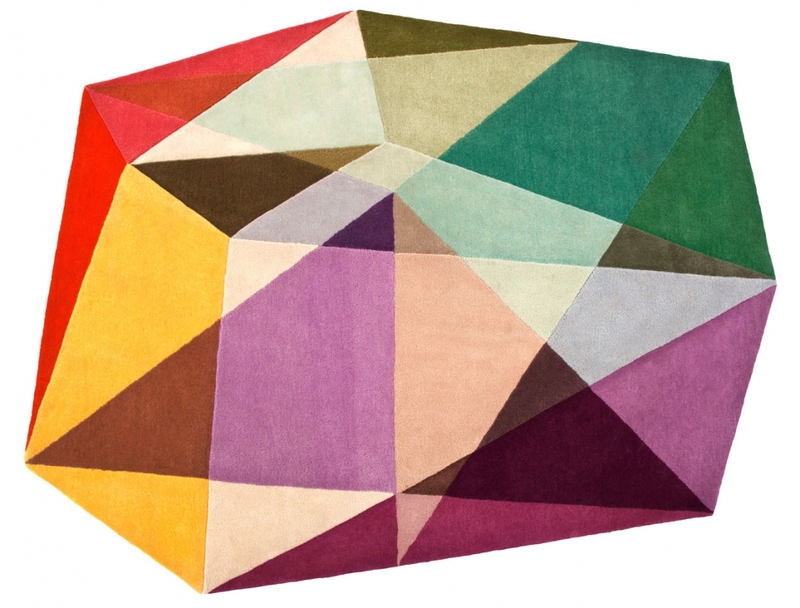 This irregular shaped rug has a sculptural quality with pile height variations and hand carving. 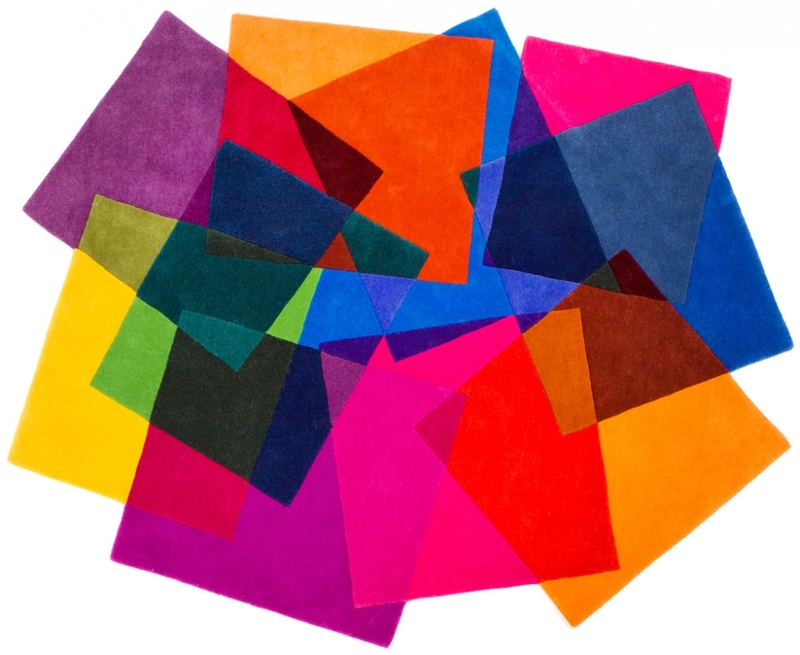 The design is created from a playful collage of overlaying colours. The 26 colours in wool replicate the effect of transparent colours mixing together. Prism Pastels was inspired by observing how light refracts through a crystal creating an array of different colours and shades. Designed to bring the subtle colours of refracted light into a room creating luminosity and interest. Sonya’s most ambitious colour mix experiments to date. A natural development of the popular After Matisse rug – Sonya has moved from rectangular forms to sensual curves to create a wonderfully shaped foundation to develop her colour mixing passion. A complex combination of hues represent colours mixing and variating pile height (or can be knotted in a single pile height) make this piece a spectacular floor statement to any space.